This British-made movie was launched to UK Audiences in 1968, one year prior to the moon landing. Audiences were stunned by the special effects utilised and the large vision of author Arthur C. Clarke and filmmaker Stanley Kubrick. In real Kubrickesque style, each of the '2001' stamps released by the Isle of Man Post Office includes a message, a secret code concealed to the naked eye. 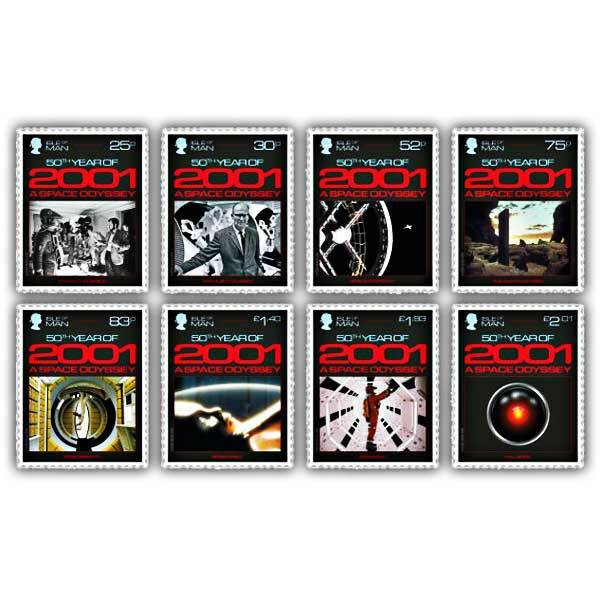 The series of 8 stamps illustrates a few of the most renowned images from the movie: the 20p stamp reveals Stanley Kubrick in the middle of producing motion picture magic. On the 30p stamp, revered sci-fi author Arthur C. Clarke whose narrative, 'The Sentinel', from which '2001' was adapted, is visualised on the set, standing in front of the pod. Heather Downham who played among the space stewardesses who include on the 83p stamp, remembered hearing an intake of breath at the premier, so shocked were movie audiences at the representation of weightlessness in space. The 52p stamp includes the docking scene at Space Station V, years prior to today's ISS. The 75p stamp has the monolith, a featureless yet frightening black structure that offers the time link in between past, future and present, that includes a lot to the stress in the movie. The primary subject of pressure in '2001' is originated from the interaction in between the human characters and the expert system, HAL 9000. His all-seeing, all-hearing red 'eye', is included on the ₤2.01 stamp. Another one of the defining images is the Star Child, included on the ₤1.40 stamp; is this the future of humankind? On the ₤1.93 stamp is astronaut and primary character Dr. Dave Bowman, played by star Kier Dullea. The total set of 8 stamps supplied in a 4 sided, shiny collectors folder, recording standout graphics from the movie together with 'behind the scenes' information about each of the images as composed by Austin Mutti Mewse and Benedict Glazier. 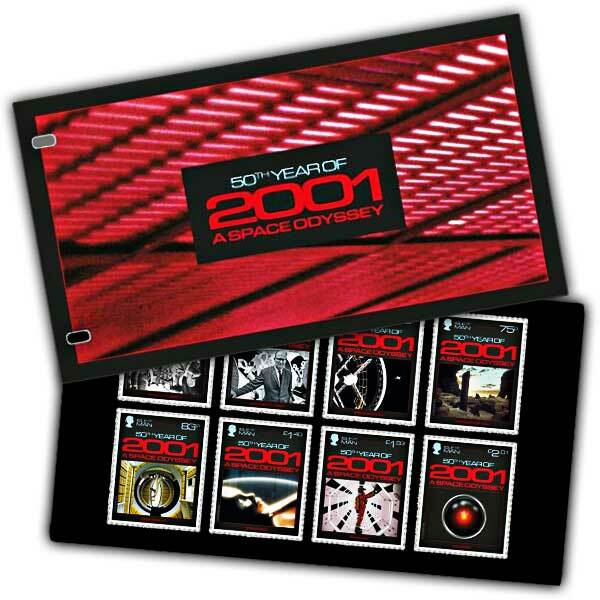 This Presentation Pack supplies collectors and fans of 2001: A Space Odyssey with an advanced collectable consisting of important information about perhaps the very best sci-fi film of perpetuity. Each of the 8 stamps presented on a timeless black card and ingrained with surprise secret messages in tiny type for you to discover!